Insideout Cleaning Solutions Ltd is an independent family run business offering a full cleaning package to the Construction Industry. From our offices in South Yorkshire and Derbyshire we offer a nationwide service to Main contractors, Civil engineers, Shop fitters, Groundwork contractors, Concrete repair specialists and many more organisations. 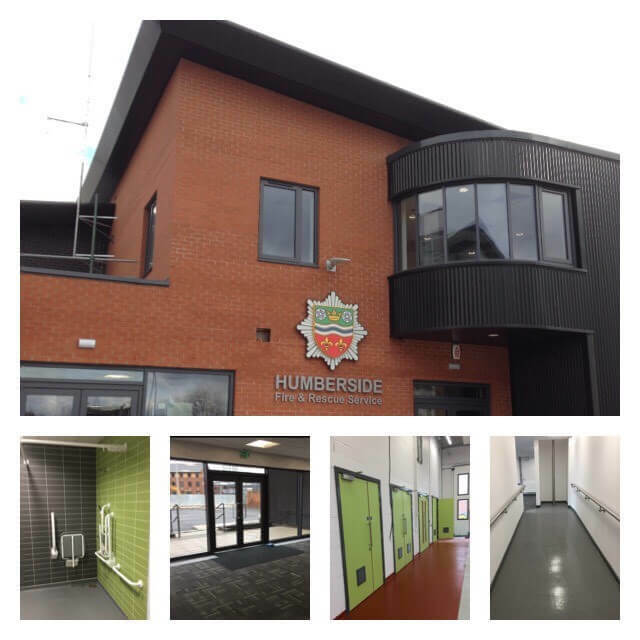 We guarantee our clients a high quality, reliable and professional service at a competitive rate ensuring the job runs smoothly from start to finish by carrying out a detailed inspection of the building at the initial site visit, explaining in detail the cleaning method we would carry out, what chemicals and equipment we would be using and time scales involved. You will always be provided with a fixed cost to carry out and complete the job, with no added extras or additional costs cropping up throughout the job. All our employees are trained and highly experienced in operating our hot water and steam power wash which can clean up to 40 feet of façade from the ground, and any higher our staff are all IPAF certified to use a range of access equipment. Having the capacity to carry up to a 1000 litres of water in our on board bowser, and a twin hose system in place enabling 2 operators to work simultaneously, we are able to clean up to 400m2 of brick or stone in a typical working day. 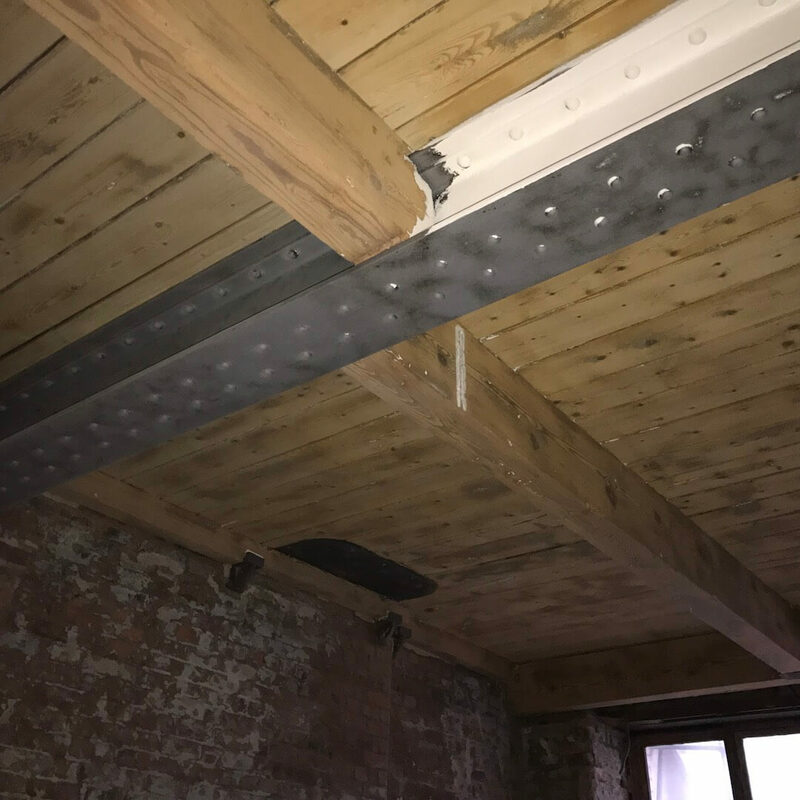 The benefits of using this system reduces the amount of pressure a cold jetwash would use, reducing any damage to the brick face whilst the heat dissolves the mortar often eliminating the need to use a brick acid. 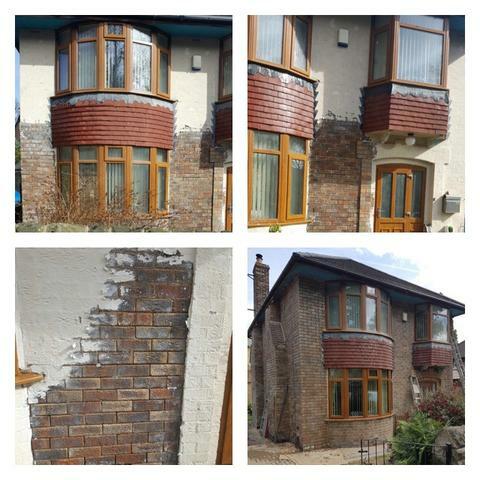 For further information on our brick cleaning and other services we offer please browse through our website and for a no obligation quote or further information on the services we provide please contact us. and Stone, Cladding and Glazing, Aluminium and Concrete and Wet Pour. The hot water and steam breaks down the unwanted mortar and cement on the face of the brick, often eliminating the need to use a powerful brick chemical. 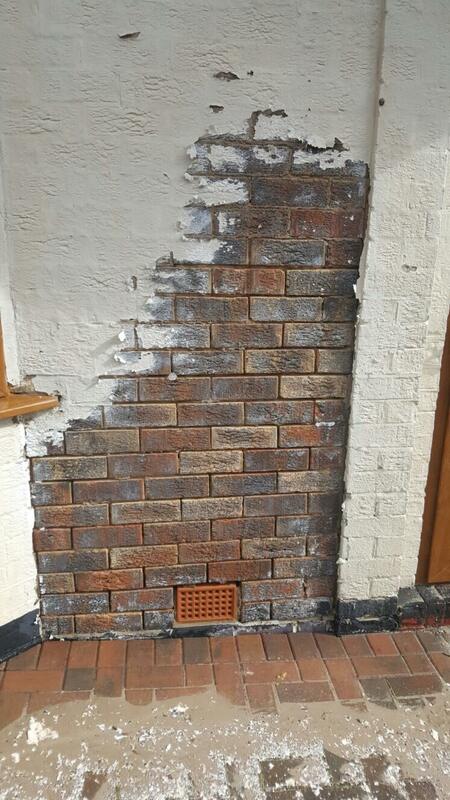 As demonstrated on the picture across this Grade II listed wall had many years of dirt, moss, paint and graffiti stains all which we were able to remove without causing any damage to the wall or the mortar. Ours team members all hold IPAF cards and are experienced in operating and cleaning from MEWPs at high level, cleaning up to 30ft from the ground using long lances or working from the scaffold we can guarantee you a pristine and outstanding finish to the exterior of your building. 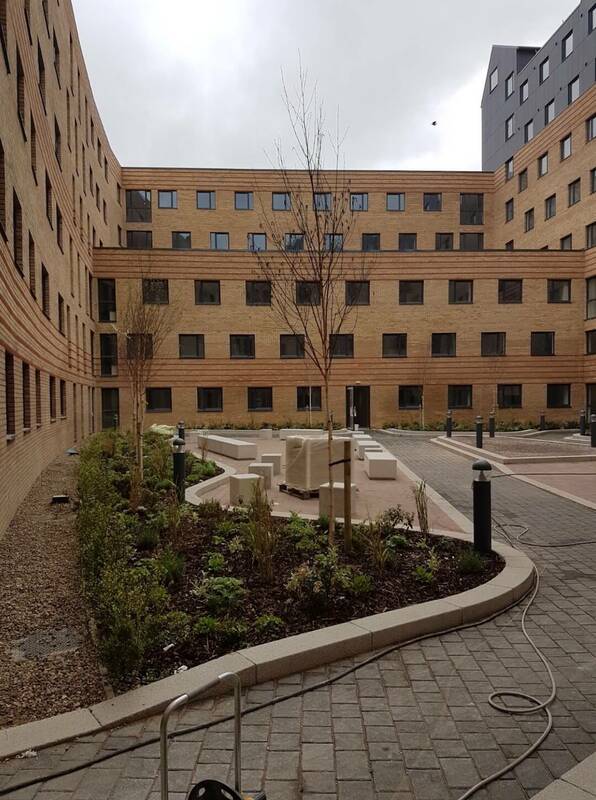 We are happy to quote and undertake projects of all sizes cleaning a single dwelling to a 500 plot housing development. We work Nationwide and pride ourselves on gaining repeat business for our continuously growing client base. 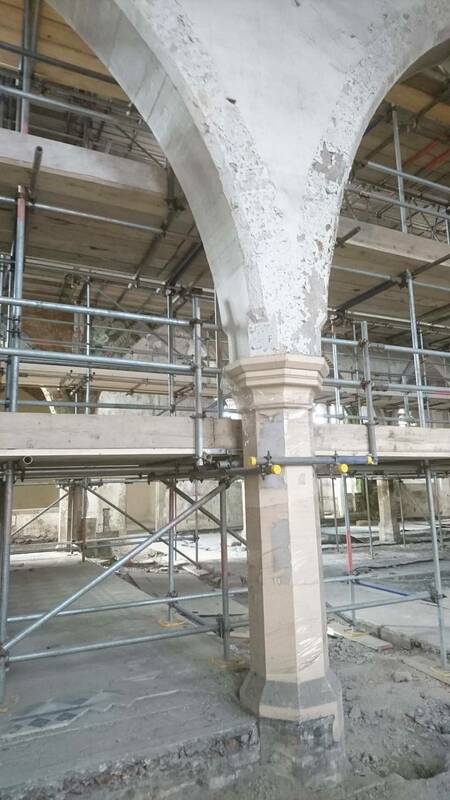 This client didn’t want their property to be sand blasted or any harsh chemicals to be used so we simply use hot water and steam to remove the thick built up layers of white masonry paint. client, other trades and subcontractors at such a pressured time. 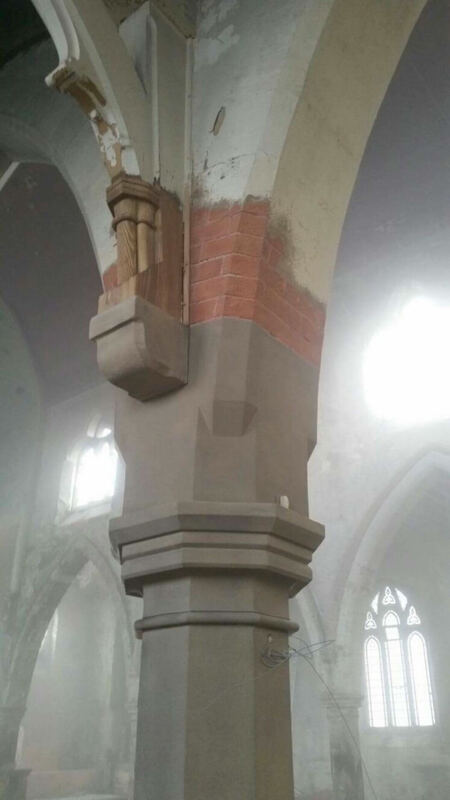 signed off at the end by the site manager. 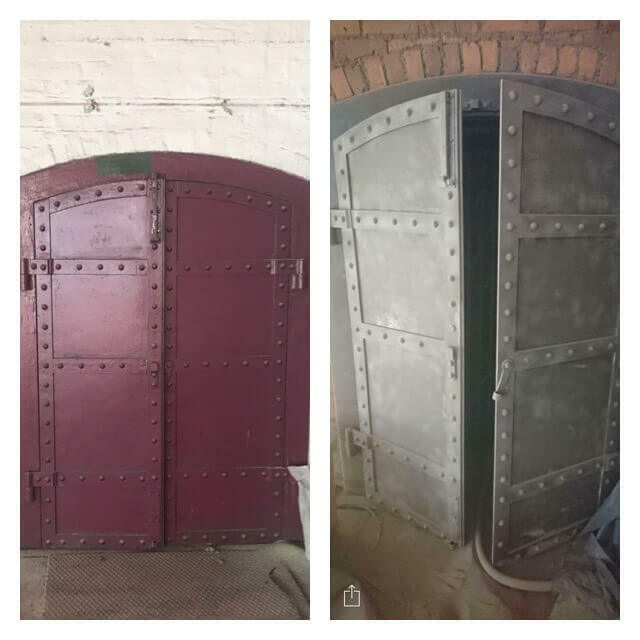 Insideout Cleaning Solutions have a highly skilled team who are dedicated in carrying out abrasive blasting (also known as shot, sand and grit blasting) all of which involves propelling compressed air and blast media (such as fine crushed glass) through a hose and tungsten carbide nozzle. 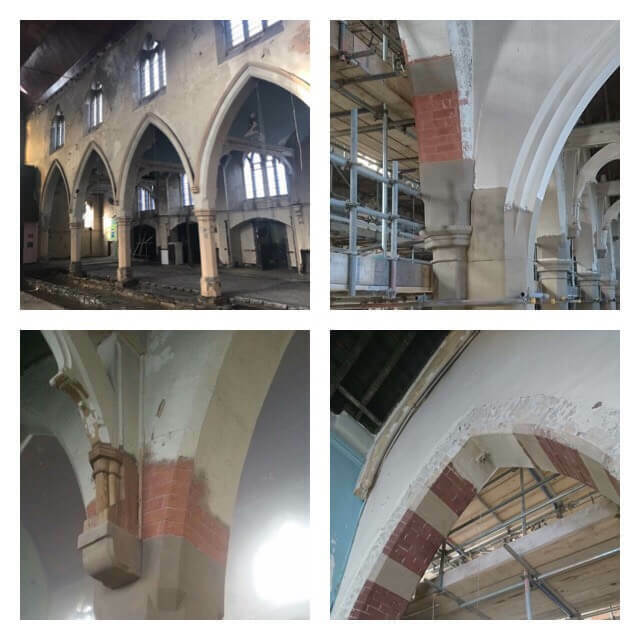 What can often take weeks with chemical paint stripping or wire cupping techniques, blast cleaning can achieve the same result in a matter of hours the process does however produce a vast amount of dust and the works need to be carried out when the building is vacant. 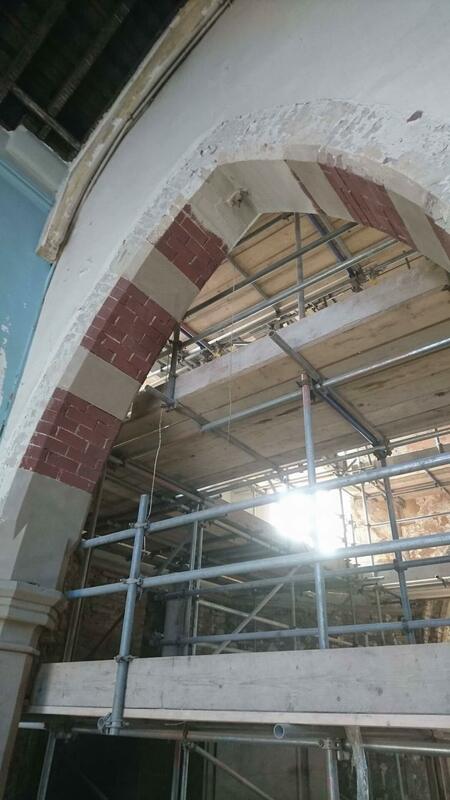 We can blast a variety of surfaces including stone, brick, wood, iron and aluminium and have worked on a variety of buildings including many Grade II listed projects. Projects include churches, renovated mills, factories and warehouses, apartment blocks and private property developments. 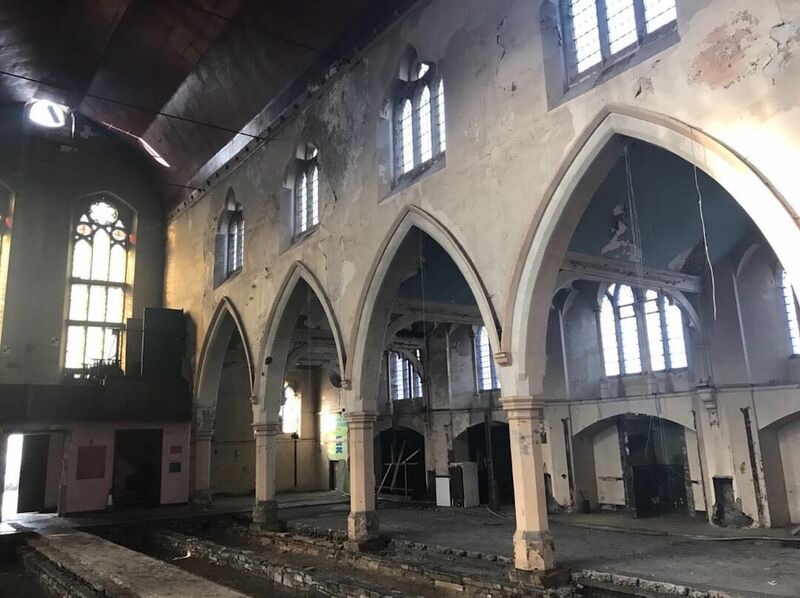 Insideout Cleaning Solutions can carry out Graffiti Removal on a wide spectrum of hard and soft surfaces including stone, brickwork, marble, metal, Perspex, plastic, wood, and painted doors. 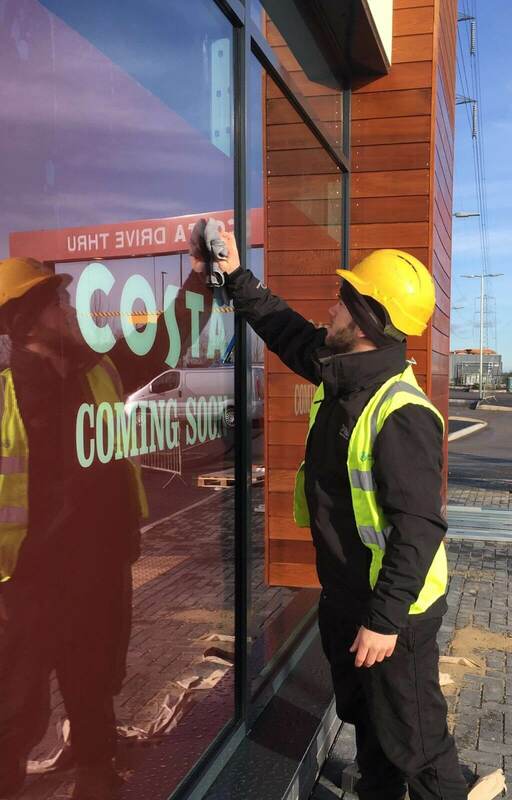 We have invested in the latest graffiti removal system which removes graffiti damage whilst still being environmentally friendly and not impacting on the underlying substrate. The service we provide is fast and very effective and can see your premises gum-free within a matter of hours. The chewing gum is broken down and removed by high-powered surface cleaners. The machines take care of chewing gum removal in an eco-friendly way as they break down the chewing gum without using chemical detergents, therefore leaving no residue or unsightly stains. Inside Out Cleaning Solutions offer a superior window cleaning service. 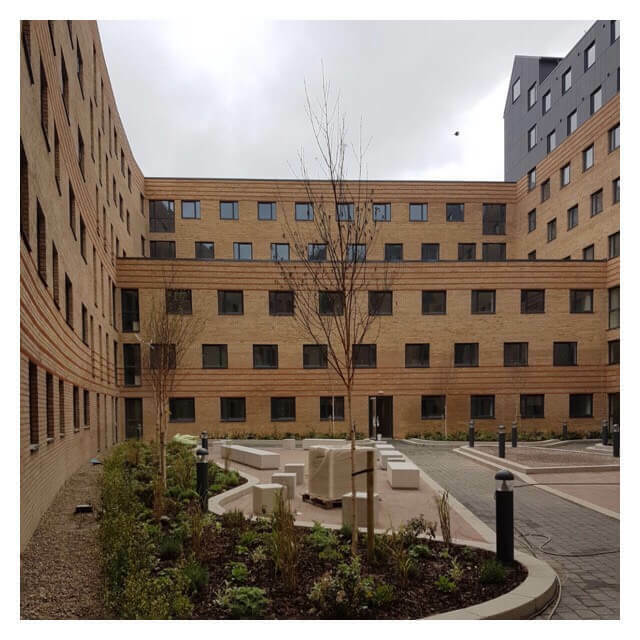 Using the latest equipment in window cleaning, our Reach & Wash system cleans up to 60 feet high (6 floors) using 100% pure water to clean the windows, UPVC, facades, glass roofs, paneling and cladding. This system is environmentally friendly as no chemicals are ever used. It is eliminates ladders, cherry pickers and cradles, therefore reducing the health and safety risks and expensive access equipment costs. We clean both domestic and commercial properties of all shapes and sizes, offering one-off cleans on new builds as well as regular contract cleans. “I have worked with Insideout for several years now on various different construction projects. The teams we receive on site are always hardworking and help our hard efforts in construction sparkle. Carrie was most helpful as always arranging extra labour at a moments notice to help out when requested. The on-site operatives had all of the tools required and a good knowledge of the task. “I’ve known Carrie and her team now for a number of years and can always be sure that the service I receive is first class.